Current news directly from PA IAFF locals. Vote for Greater Chambersburg Area Paid Fire Fighters in the IAFF's 2018 Pink T-Shirt Contest!!! Go to https://pinkshirt.iaff.org and find our design. Make sure to click on the star in the upper left corner of the picture. Thank You for all your support. 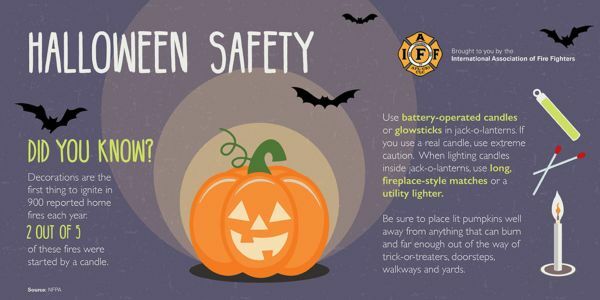 Tomorrow night Station 1 (1501 West Third Street) and Station 2 (320 East 14th Street) will be giving out candy to all the little visitors for halloween. Make sure you stop by and say hi and Trick or Treat. Requested to be in newspapers anytime Week of Oct 29- Nov 4, 2018 It's that time of year again! Change Your Clock, Change Your Batteries™! Greenville Firefighters once again offering to install free batteries for Borough Residents. IAFF Local 1813 Breast Cancer Awarness Fundraiser! The Greater Chambersburg Area Paid Fire Fighters IAFF Local 1813 is accepting orders for Breast Cancer Awareness shirts. PLEASE CLICK THIS FILE TO READ THE ENTIRE ACT 47 EXIT PLAN. ACT 47 EXIT PLAN WILL BE PRESENTED ON THURSDAY SEPTEMBER 6 2018 @7PM CHESTER CITY HALL!! GET THE WORD OUT! LEGAL NOTICES PUBLIC NOTICE FROM STATE COORDINATOR FOR CITY OF CHESTER Econsult Solutions Inc. The Officers and Members of the Greater Chambersburg Area Paid Fire Fighters Association, IAFF Local 1813 would like to congratulate Firefighter Benjamin Myers on his promotion to department Assistant Chief. At the Chambersburg Borough Council Meeting held tonight, Firefighter Benjamin Myers was promoted to the position of Assistant Chief.